Born in MacGregor, Allan was one of the most visionary and accomplished individuals in Manitoba's hockey officiating history, on and off the ice. He worked in all levels of hockey - Provincial, National and International. He had an outstanding knowledge of the Rules of the game and applied them with integrity, courage and common sense. 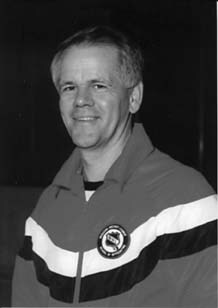 He served as Referee-in-Chief for Hockey Manitoba and was on the Standing Rules Committee for Hockey Canada. He worked as a Video Goal Judge for the NHL. An instructor for the WHL School of Officiating, he was an excellent teacher-mentor with outstanding communication skills. As well as officiating in hundreds of hockey games, he instructed in countless Referee Clinics in Manitoba, Western Canada and Australia.